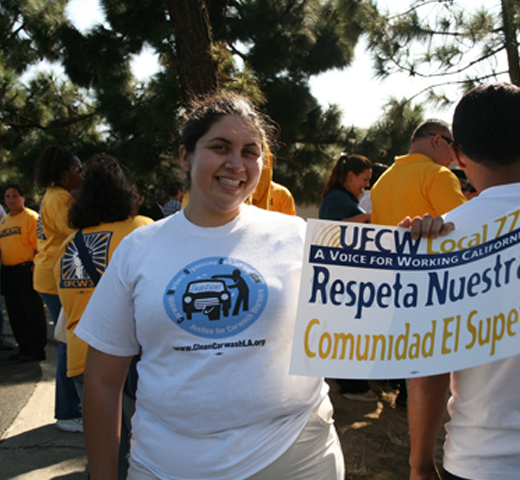 About 600 UFCW members at seven El Super stores are entering a third year without a contract. Their patience and determination not to give up in the face of intense pressure has become almost legendary in union halls up and down the West Coast. Their ongoing fight has taken the form of a region-wide boycott that has been a prime factor in the company’s economic downturn in recent months. The once red-hot powerhouse that earned national attention with its massive expansion a few short years ago has seen profits plummet and in-store sales stagnate since the boycott began. 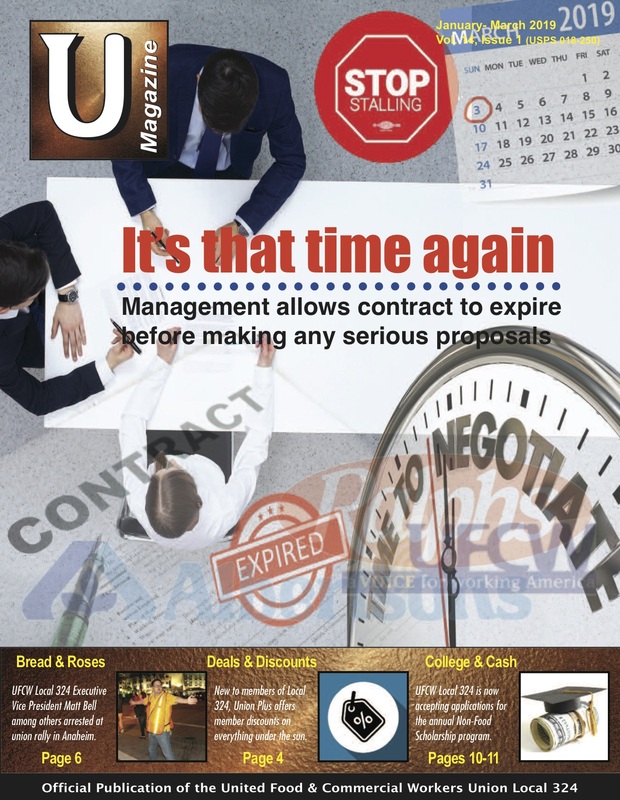 And it’s all over contract demands that amounts to pocket change for this massive conglomerate that recently saw its CEO added to Forbes Magazine’s list of billionaires. “In addition to being treated with respect by supervisors, workers are asking for three days of paid sick leave,” said UFCW Local 324 Organizing Director Gilbert Davilla. As one of the wealthiest corporations in the Western Hemisphere,. Bodega Latina can certainly afford the modest pay hikes and other benefit enhancements sought by its union workers. But President Greg Conger believes that the company is willing to let its employees hang be a thread because they don’t want to give up any control they have over workers. It’s become a question of protecting their pride,” Conger said. El Super has already fired its big guns at the union, launching a campaign to have employees expel the union. That effort not only failed but actually resulted in one of the largest recertification victories for UFCW in the union’s history. With workers loudly proclaiming their support for the union, the company next attempted to get rid of its critics by inventing trumped up reasons to fire them. The National Labor Relations Board found their behavior so egregious it ordered one employee returned to work with back pay immediately and ordered the company to stop engaging in unfair labor practices. Their current strategy is to make a mockery of negotiations by bargaining with all the sincerity of a wolf who claims his top priority is the safety of the farm’s herd of sheep. But El Super’s workers have found a renewed purpose in the struggle and stand more determined than ever to win a fair contract from a company that appears equally committed to pretending they don’t exist.